1. 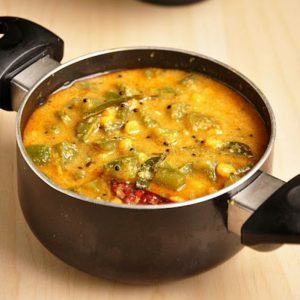 Boil the milk in a pan and add the grated gourd. 2. Cook gently stirring all the time. 3. Once it turns thick, add ghee and the almond paste. 4. Gently stir and mix well until well combined. 5. Add the sugar, cardamom powder and fried lotus seeds. 6. Garnish with dry fruits. 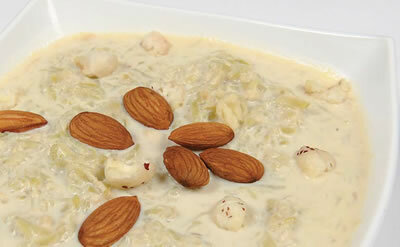 Feel free to comment or share your thoughts on this Ash Gourd Kheer Recipe from Awesome Cuisine.